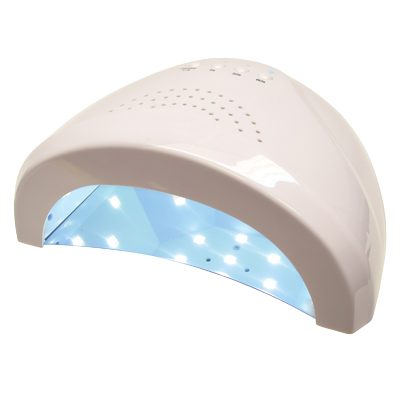 48 Watt LED lamp with 30 strategically placed LED lights is perfect for drying gel polish and top coats. Features an on/off button and includes timing options for 5, 30, and 60 seconds. Infrared sensors automatically start lamp when hand is placed inside. Includes AC/DC adapter.